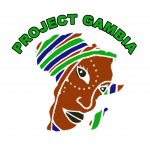 In December 2016 the first Project Gambia Shop was set up in the Sekekunda area of The Gambia. The shop, managed by Florence Bernard employs a local woman and sells good quality second hand clothes, shoes, bags etc. Items are sold at a much lower price than people can buy them at the local market and once wages and rent is paid profit made is used to support those who are need of food, medical care, schooling etc. Our second shop is currently in the pipeline. This will be run by Mary Jabang and will sell cleaning products and household goods. Profits from this shop will be used to purchase mosquito nets for families who live in Kotusilo.